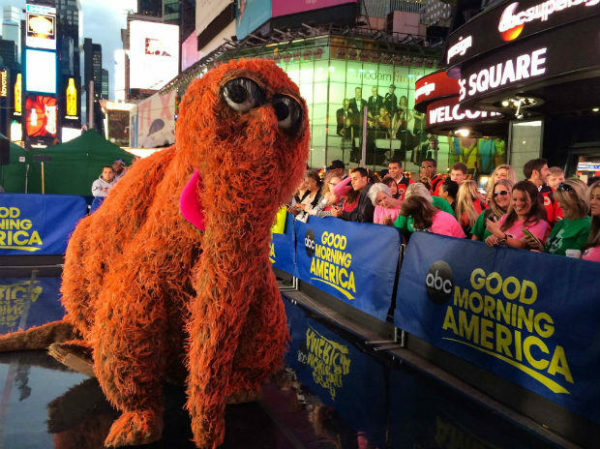 The friendship of Big Bird and Mr. Snuffleupagus has been long documented in Sesame Street and it was on this day in 1985 that Snuffy revealed himself to the adults on the street. 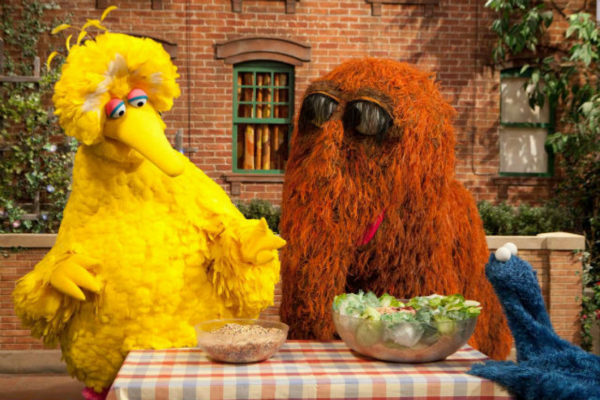 What was at first a sight gag that got laughs from kids when Snuffy would lumber offscreen whenever an adult would walk on, prompting the idea that Snuffy was just Big Bird's imaginary friend, the idea to reveal Snuffy as real had much more serious undertones. This was in the mid-eighties, when cases of abuse in daycare centers and missing children were at a high, and the writers and performers on Sesame Street started to get concerned that the ongoing plot that no one believed Big Bird when he said that Snuffy was real would transfer into the real world. Why would an adult believe a child, which Big Bird was, without proof? So the performers and writers came up with a plan to reveal Snuffy as real in order to reassure children that if they told adults something important, like abuse, that they would be believed. There was an episode dedicated to the reveal of Snuffy, and when all was said and done, Bob told Big Bird "from now on, we'll believe you when you tell us something." It was with this sentence that Sesame Street made a serious and important point about how they felt about children and the importance of believing them. This simple statement would reassure kids that they could be honest with adults despite having no physical evidence, even with the most terrible secrets. Child rights advocates and child development specialists were brought in to come up with Bob's statement, and it ended up being incredibly powerful in its simplicity. Now kids would be able to deduce that if the adults on Sesame Street believed Big Bird, the adults in their lives would believe them when they told them something important. It's important to remember that kids do make things up all the time, but when it comes to important issues, we should always give kids the benefit of the doubt. We need to remember that no matter if we don't want to believe that something has happened to our child, it very well could have, and recall that Snuffy was real all along. It didn't matter that no one wanted to believe that. It could be that the reveal of Snuffy saved children from abuse back in the 80s, and the continuation of the character in the "real world" of Sesame Street represents the faith that children will tell us the truth, even when evidence is to the contrary.